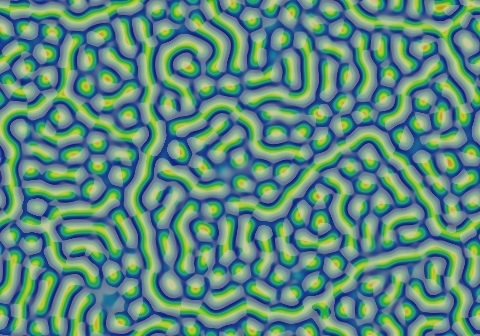 These images and movie demonstrate the behavior of the Gray-Scott reaction-diffusion system with σ=Du/Dv=2 and parameters F=0.0580, k=0.0610. 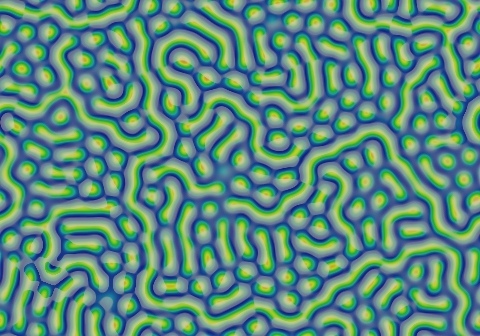 Rings grow with smooth outer edges and complex interiors, and merge into a field of negative solitons and short negative worms (with long negative worms wherever two wavefronts came together). 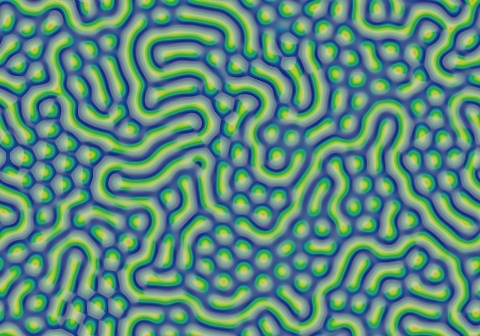 This field evolves towards hexagonal grid arrangement and 60o angles; in the process some of the worms lengthen while others shrink into solitons.